Depending on your students & instruments, you may or may not find that you need to replace strings a lot. This can vastly add to your budget, considering decent strings normally cost anywhere from $5 a set to $8 per set! Replacing your strings with fishing line can allow you to put great-sounding strings on your instruments for around $2 per set! Even better, it can be a way to involve your school community and parents in directly supporting your program! There's lots of fishermen out there in your community that have LOTS of extra line laying around, and I've found that they love the idea of re-purposing it to help their schools! There's enough to say about this for its own page, so see more about using fishing line for strings on my String Comparison Page. It's working great for the most part, except for one really unanticipated issue. 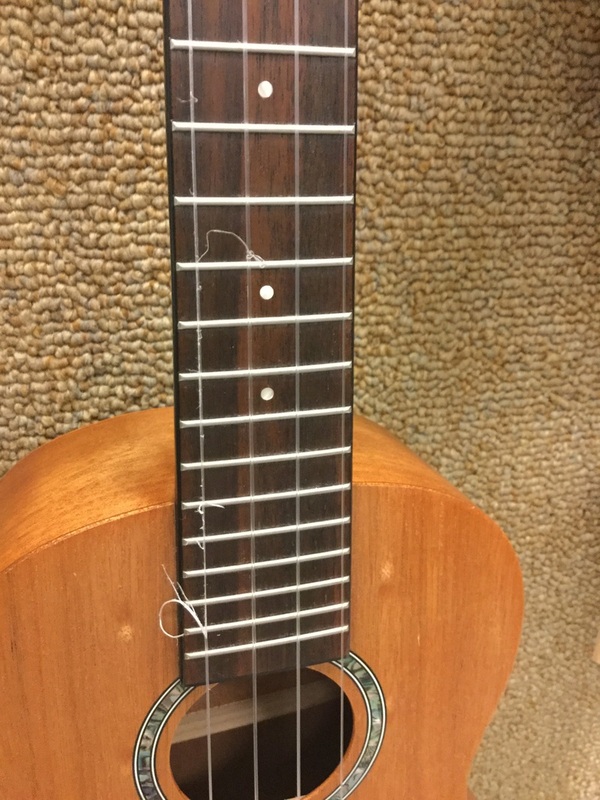 For some reason, the 40# test that I used for the fourth string is tending to "fray" on some of the ukuleles. 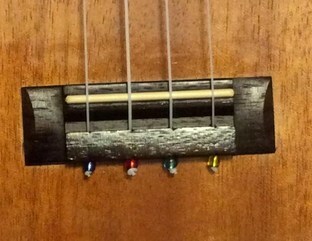 I've had to replace 3 of the 4th strings out of my 30 ukes that are strung with it. I'd be curious if others find this issue. It's only that specific string, so it makes me wonder if there wasn't a flaw in this particular spool...Something to be aware of, in either case. 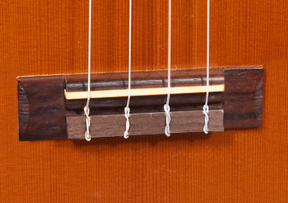 Not that big of deal to replace the one string, but if I'm recommending it, you should know of this possibility!